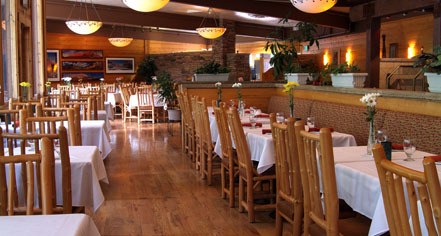 Red Rock Grill is a full-service dining room surrounded by the magnificent beauty of Zion Canyon. Red Rock Grill dining room seats 155 and features an open terrace. Open year-round daily from 6:30 a.m. until 10:00 p.m. (hours vary seasonally). Serves breakfast, lunch, and dinner. Reservations for dinner are highly recommended. For reservations, call 435.772.7760. 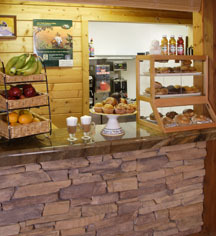 Castle Dome Café is open seasonally and offers alfresco, casual dining for continental breakfast, lunch, or dinner. Enjoy coffee, espresso, and cinnamon buns in the morning or traditional “snack bar” food such as burgers, hot dogs, fries, and soft-serve ice cream for lunch and dinner.